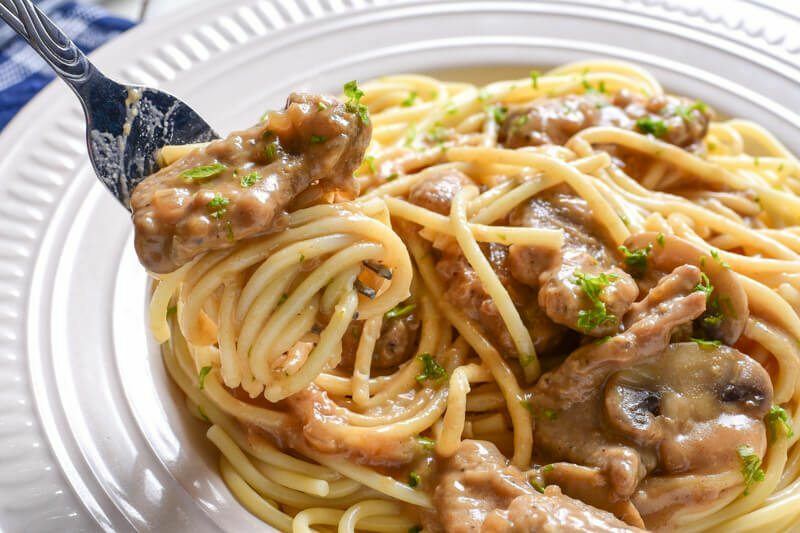 The French term emincer simply refers to thin cuts of meat, in this case pork, and specifically from the tenderloin which would be the perfect choice for the short intended cooking time. A tougher cut, say from the shoulder, would serve better for longer and more aggressive cooking methods such as stewing, roasting, or braising. 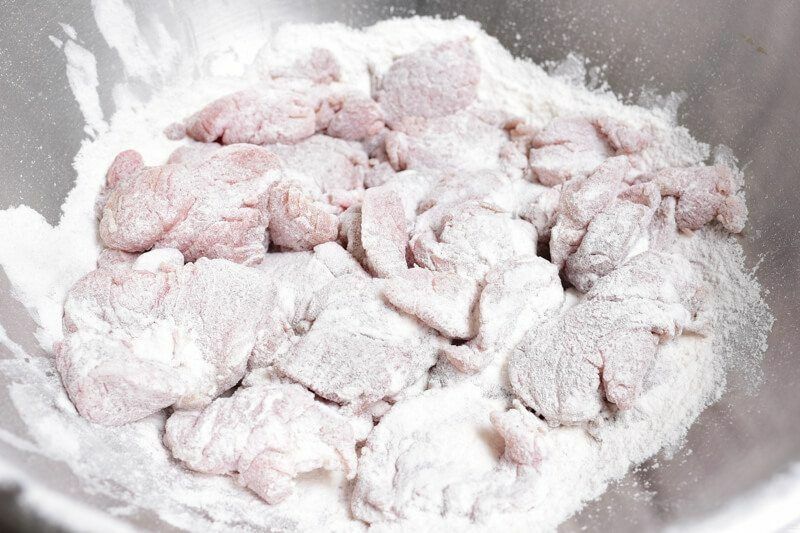 These thin slices of meat are seasoned with salt and pepper, then dredged lightly in all-purpose flour. This flour coating would serve two important purposes. First, it will provide a layer for any intended sauce to adhere to. Second, bits of flour left in the pan after searing, in the form of pan drippings, would give body to the sauce towards the end of cooking. 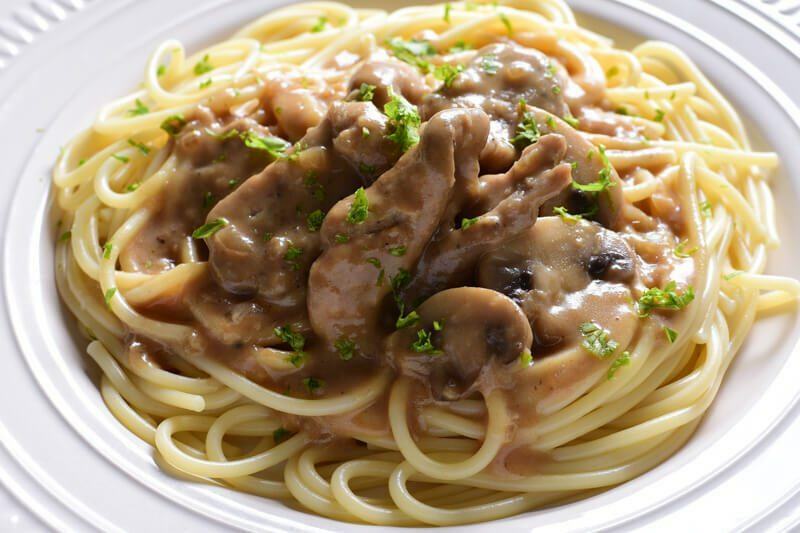 Moreover, that flour would give the meat a deeper brown color, making the dish more visually appetizing. 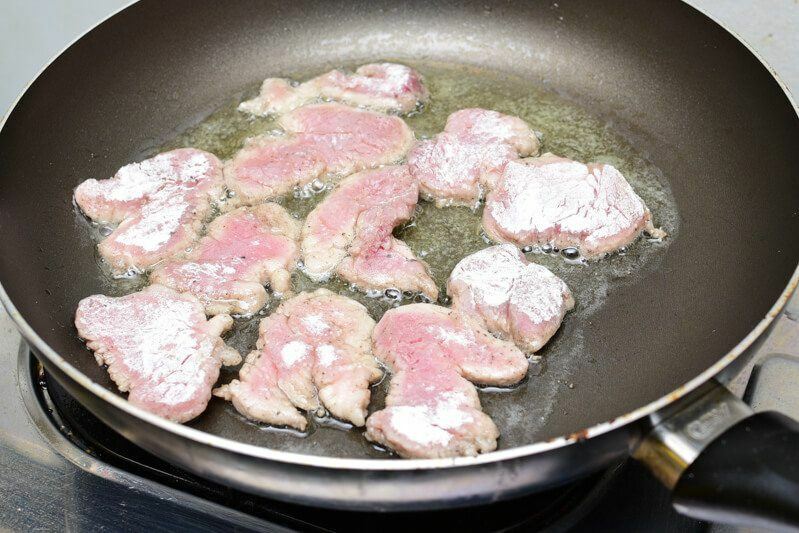 Heat some butter or olive oil in a pan and sear those pieces of meat in small batches. 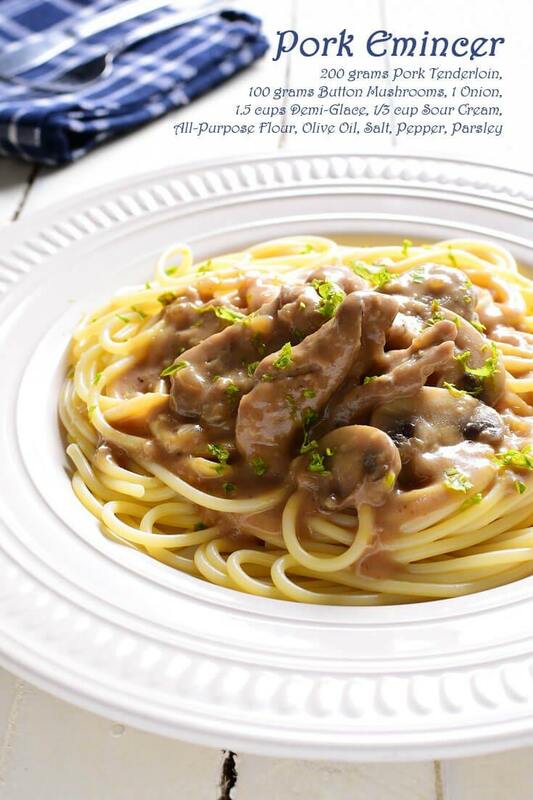 Dropping in too many at a time would lead to a sudden drop in your pan's temperature, causing those pork pieces to turn too soggy and pale. 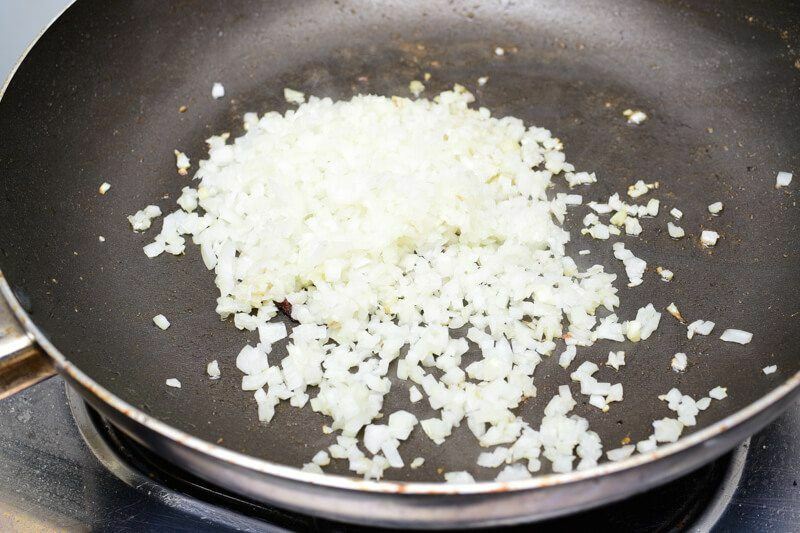 Set all the browned pieces of pork aside, and in the same pan get the onions sweating. You'll want to get the onions into a very fine mince so they'll end up melting off and blending beautifully in your sauce. Once the onions turn slightly soft and translucent, get the sliced mushrooms in the pan and sautee for another minute or so. 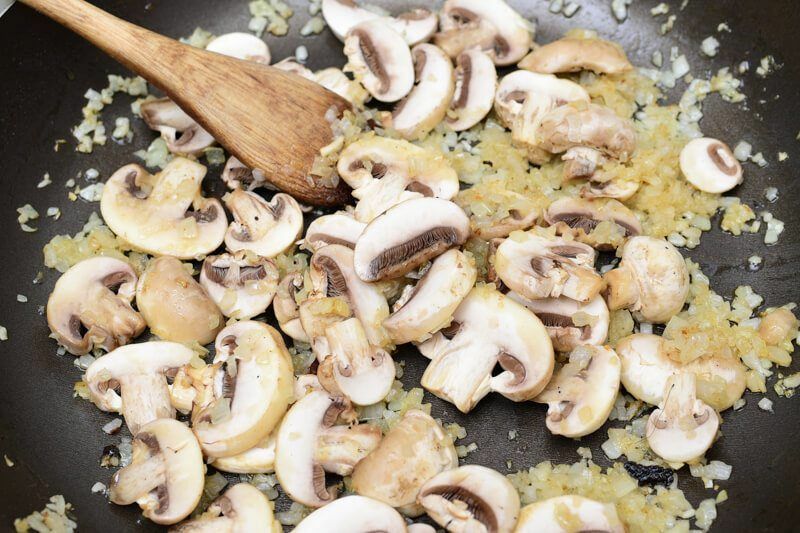 Allowing the mushrooms to caramelize, just as with onions, lets them develop a naturally sweet flavor. 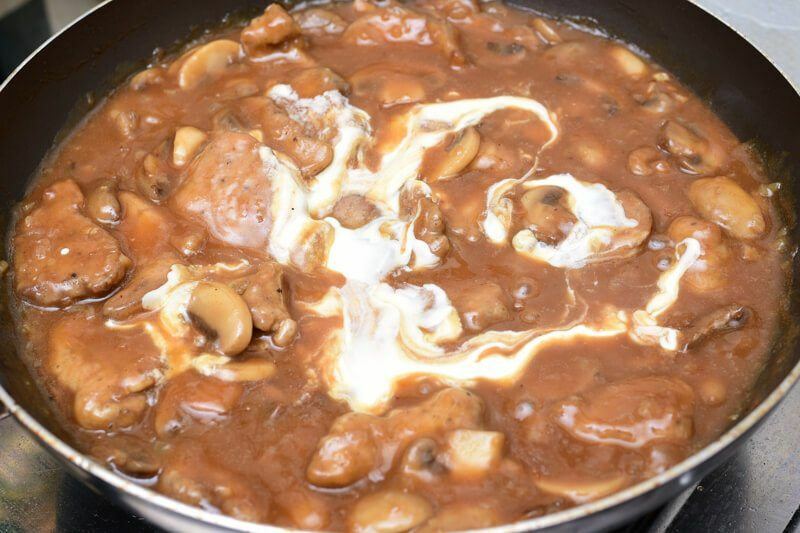 The demi-glace then goes into the pan as a base for the sauce of this dish. Deglazing those pan drippings with a splash of wine would also be a good idea. 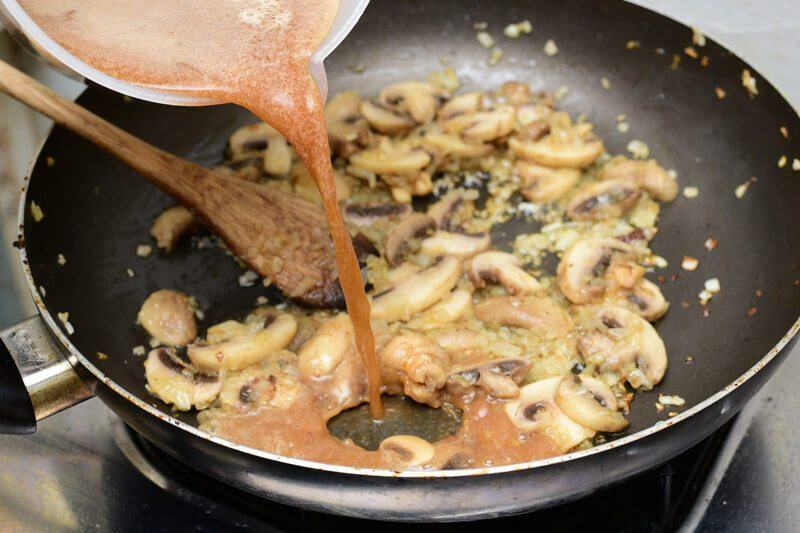 Allow the demi-glace to simmer for a few minutes in the pan or until it reduces into a consistency just enough to coat the back of a spoon. 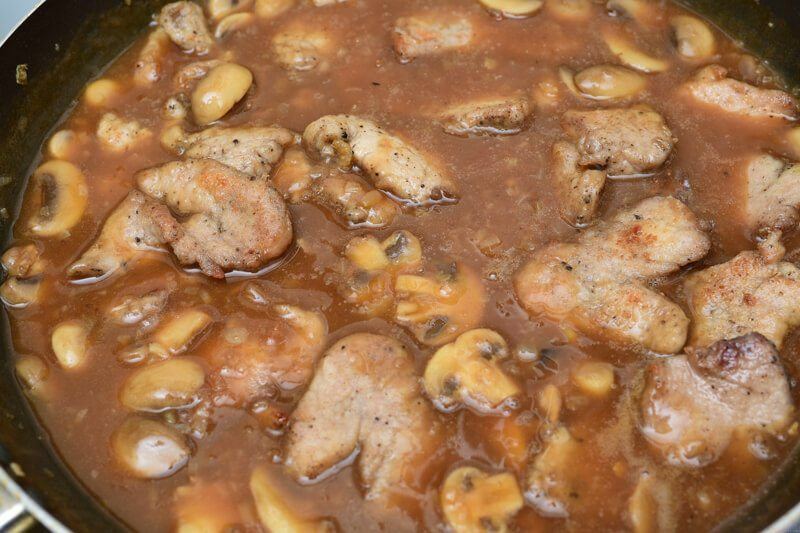 Bring the cooked pieces of pork back into the pan and bring everything back to a simmer. Keep in mind that these pork pieces are already done and don't need any further cooking, so turn the heat off just before everything comes into a boil. Extended cooking would only cause that pork tenderloin to dry out. Finally, fold in a nice dollop of sour cream for a perfectly contrasting richness. 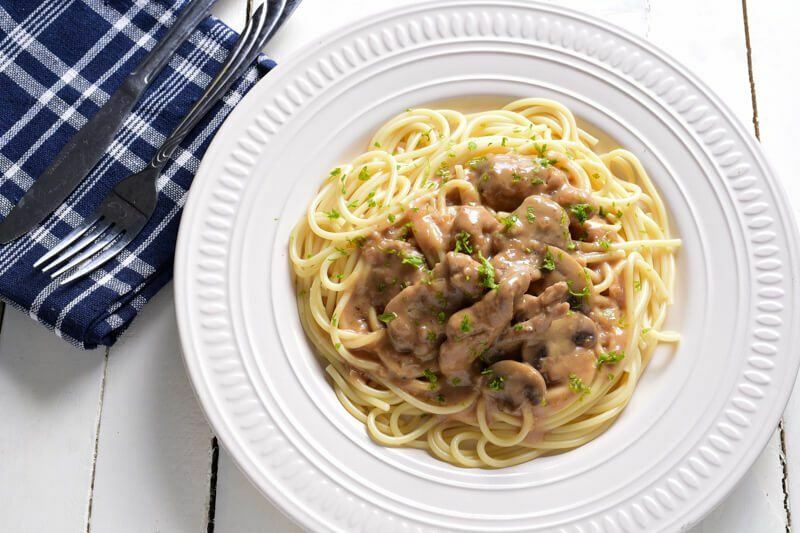 Typically served with freshly cooked pasta, this emincer would also be excellent over some extra creamy mashed potatoes or some buttered rice pilaf.